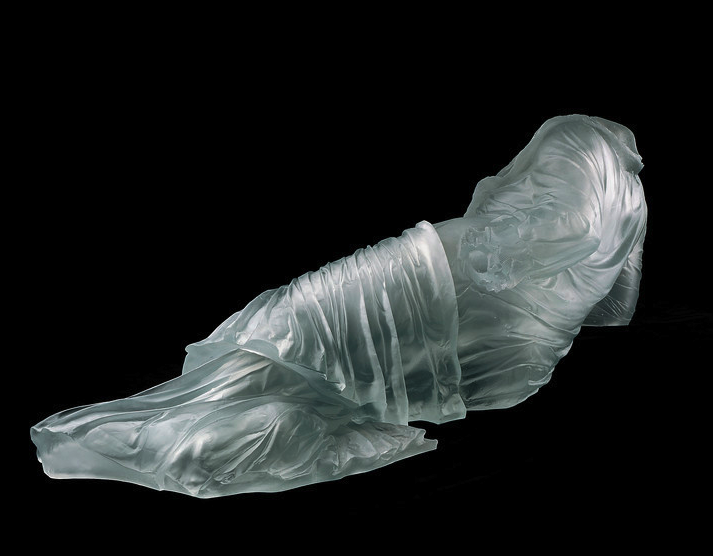 If It's Hip, It's Here (Archives): Hey Cinderella, Forget The Glass Slipper. 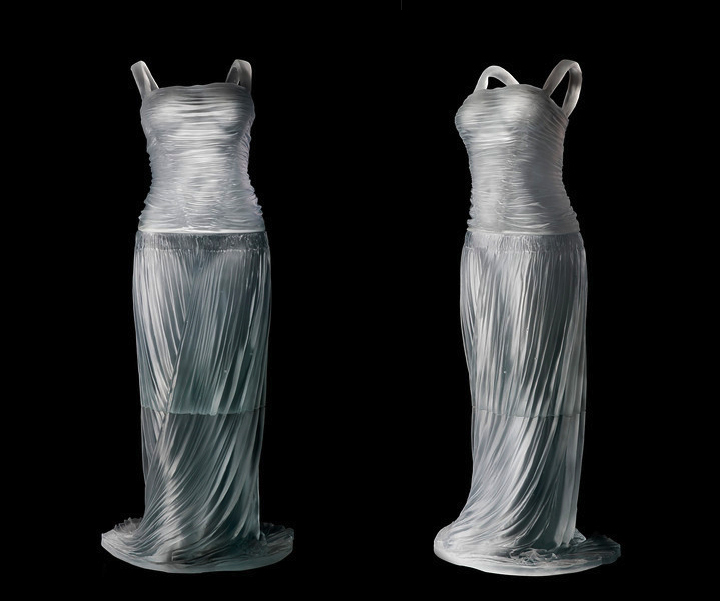 Get A Load Of These Glass Dresses. 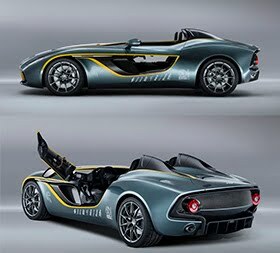 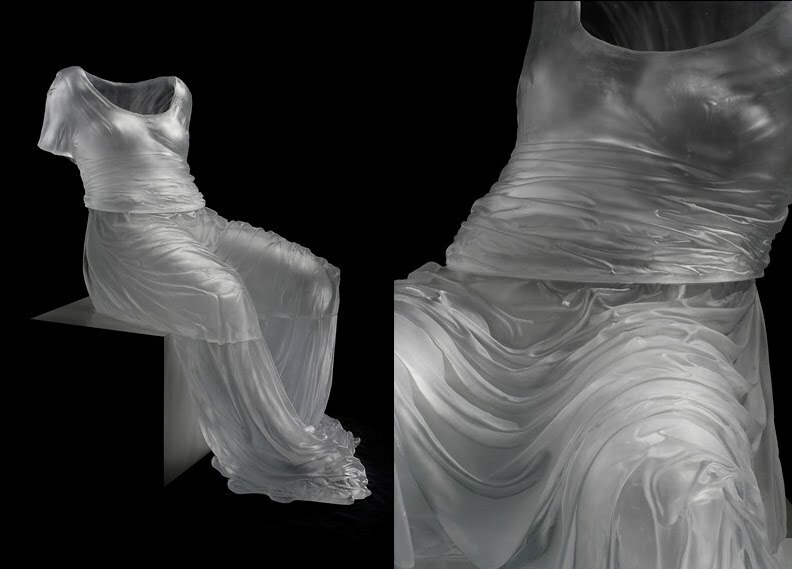 Hey Cinderella, Forget The Glass Slipper. 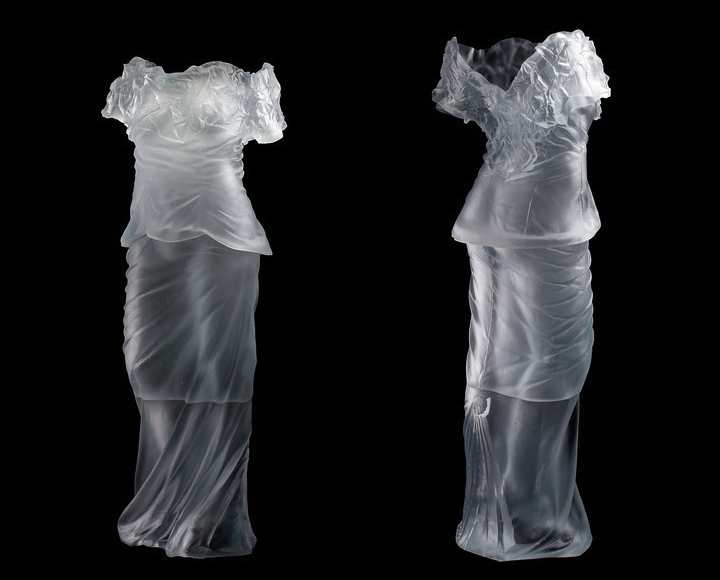 Get A Load Of These Glass Dresses. 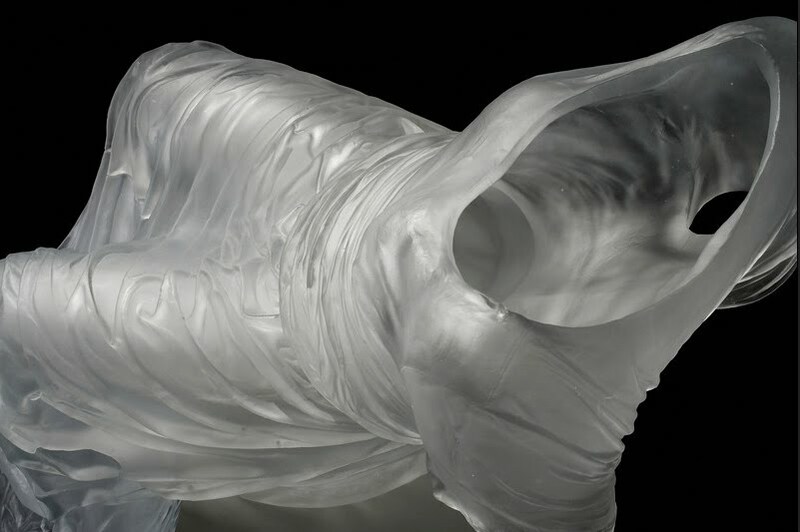 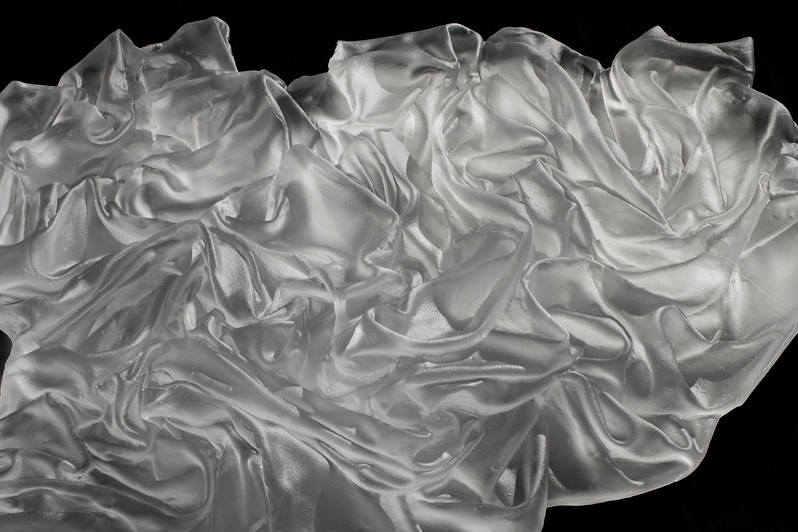 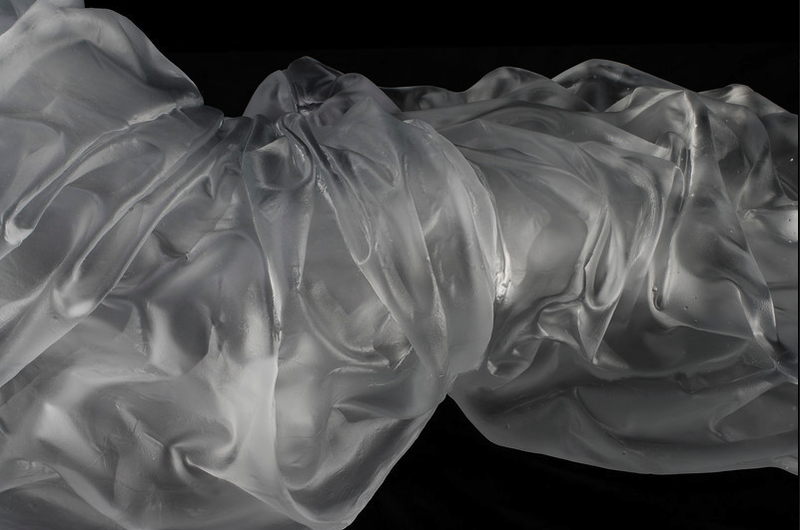 The awesome cast glass sculptures of artist Karen La Monte will take your breath away. 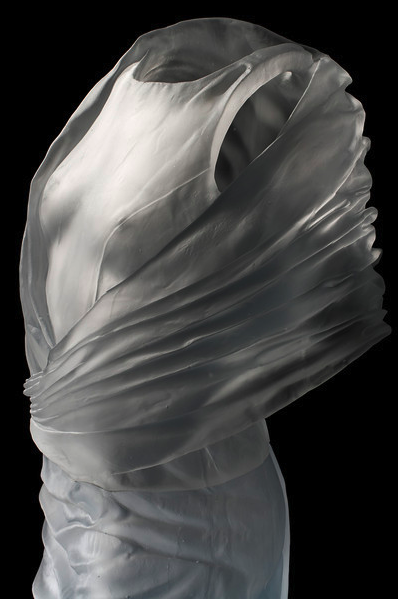 Her vast collection of impressive artwork includes figurative cast glass impressions of gowns and busts, ceramic drapery studies, drawings, bas-reliefs, sartoriotypes and glass cast hand mirrors with photo-etched steel. 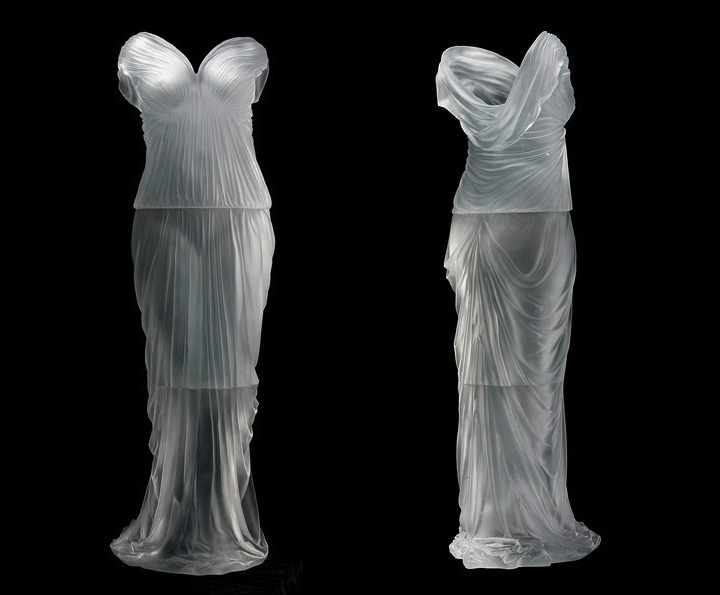 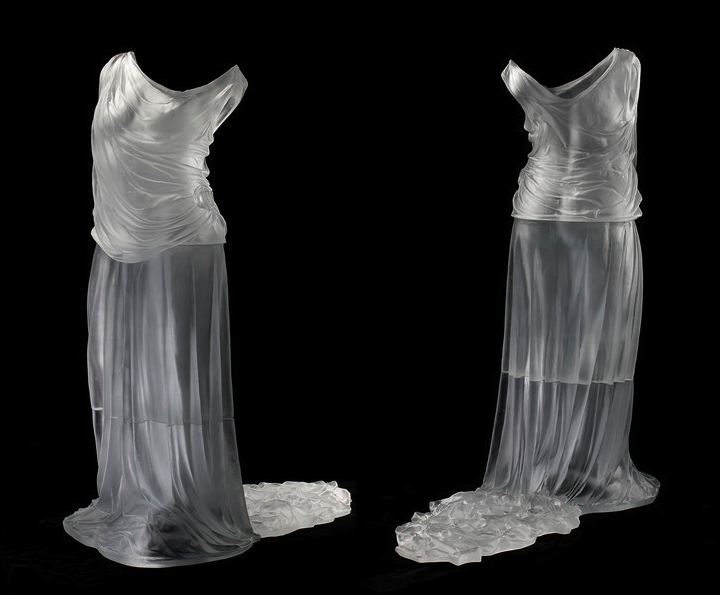 Today, I'm going to share with you many of her amazing life sized (approx 5 feet tall) figurative cast glass gowns. 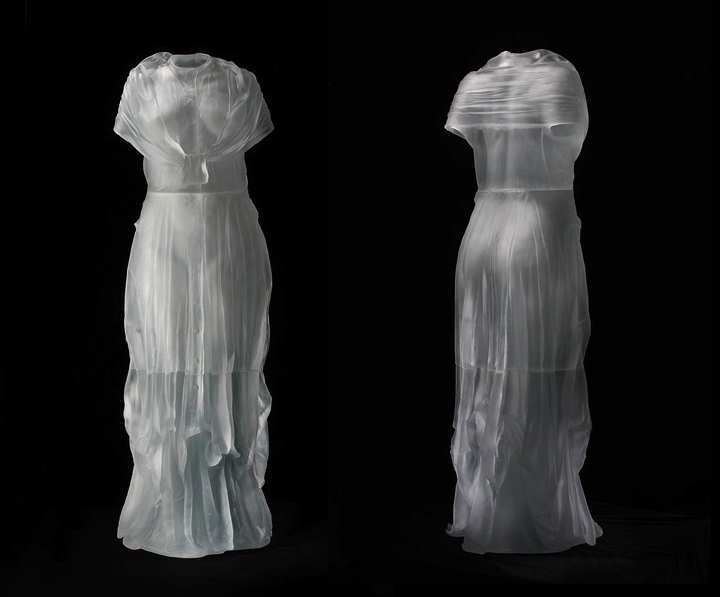 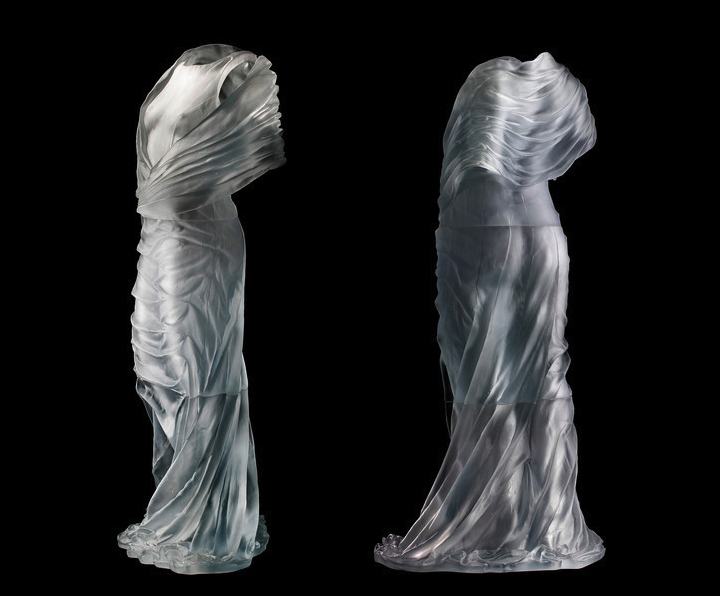 Willowy diaphanous gowns with subtle impressions of the female form stand or recline eerily on their own as they invite you to touch what looks like ghostly satin and silk drapery but is actual glass cast by the capable hands of this Czech republic artist. 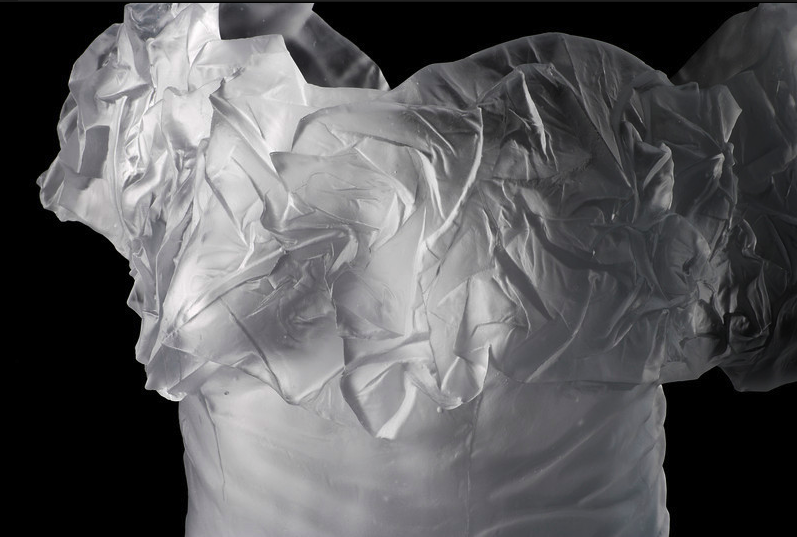 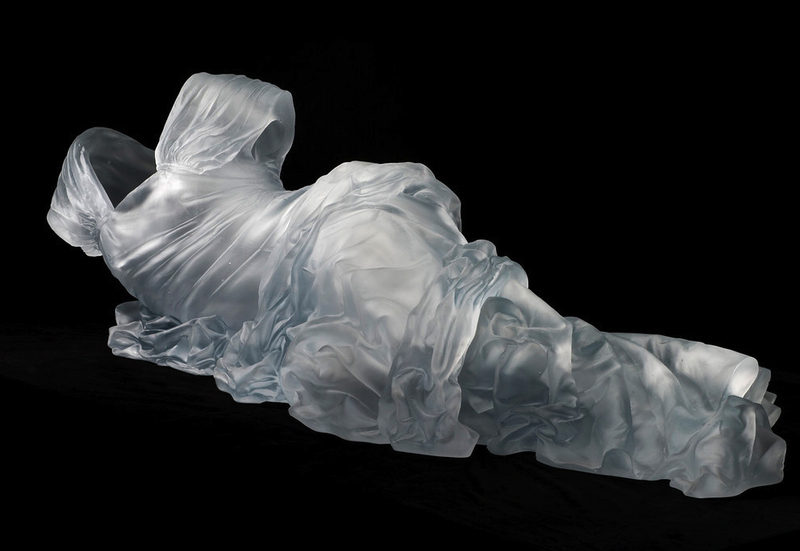 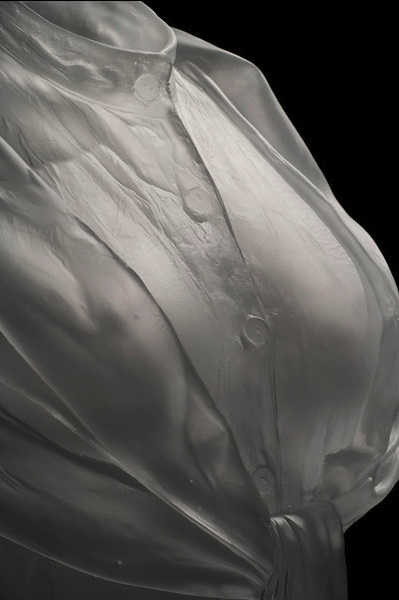 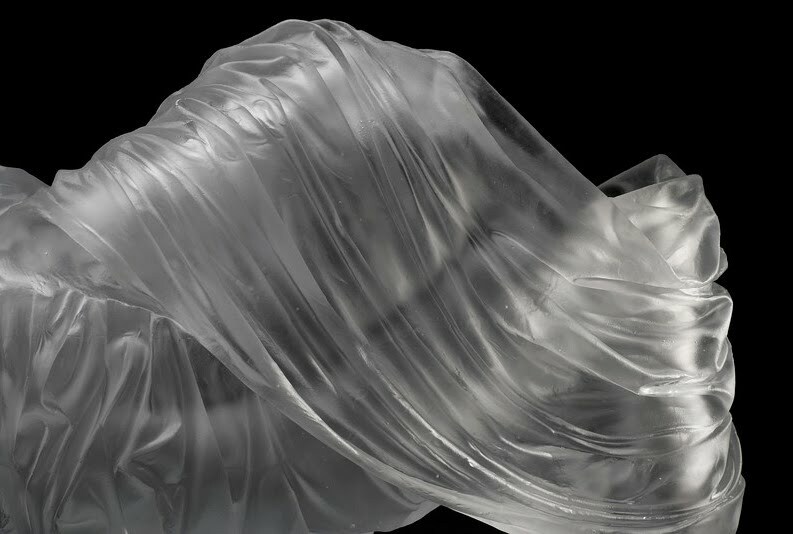 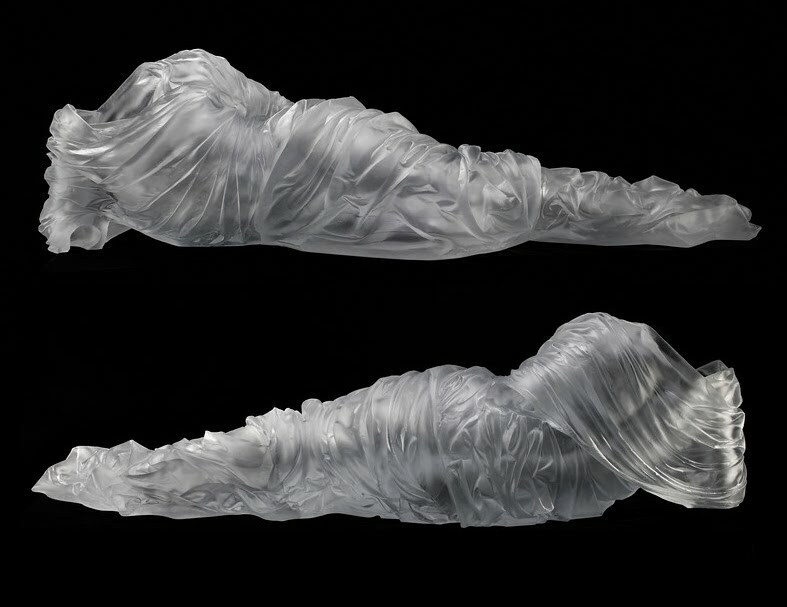 above: Cast glass Semi-reclining dress impression by Karen LaMonte. 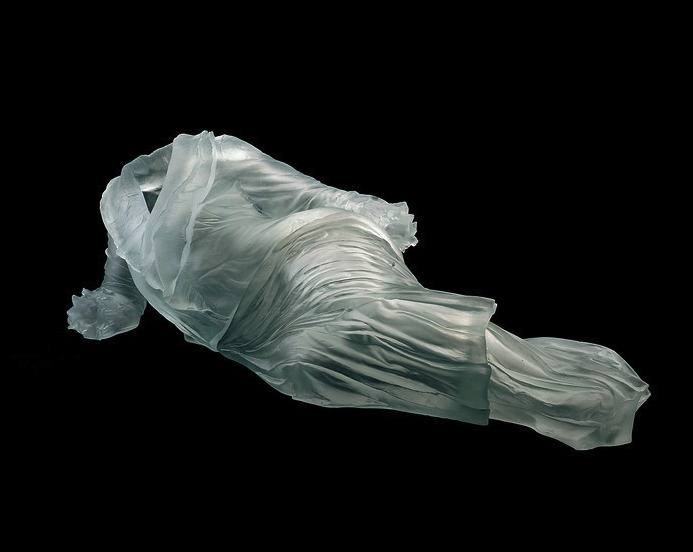 Her ability to craft such a hard material into sensuous folds, delicate wrinkles, fluid pleats and satin-like textures is truly remarkable. 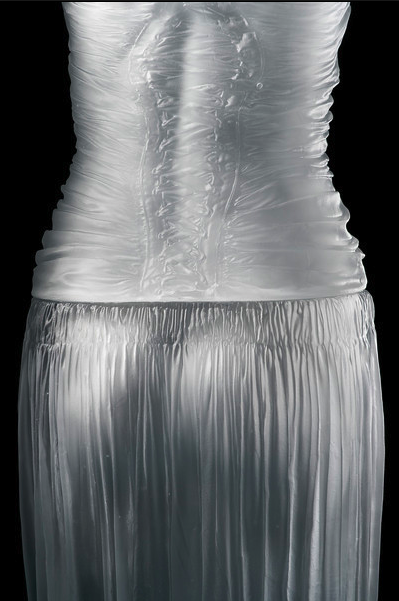 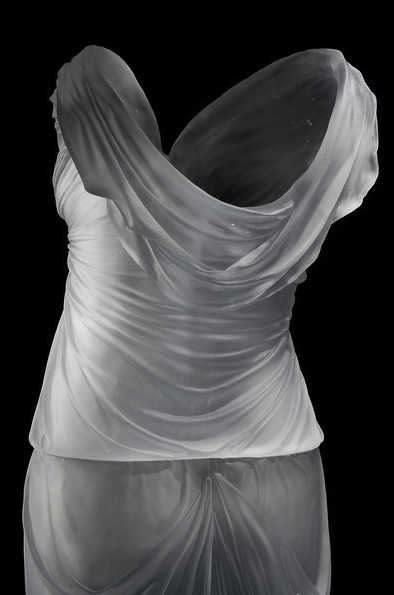 LaMonte's anthropomorphosis of the dress is achieved with the hint of the female form beneath the folds. 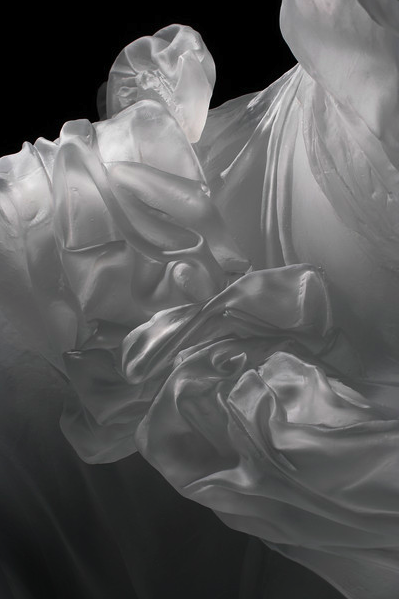 The essence of femininity and sensuality exudes from the sculptures despite the cold medium. 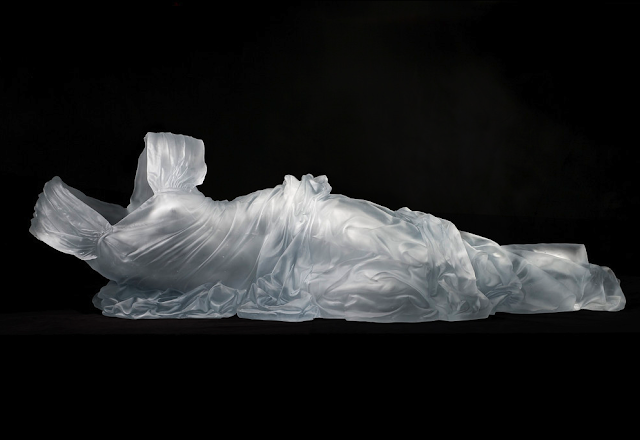 Her work is so impressive that the reclining dress impression shown below is a recent acquisition by the Smithsonian American Art Museum. 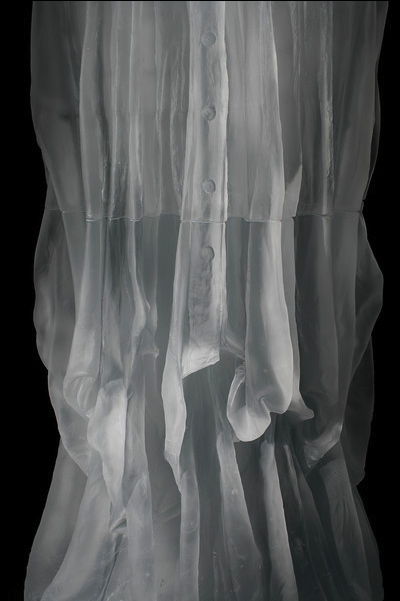 Karen LaMonte (above) started using clothing as a metaphor for identity and exploring the human in absentia in her early sculptures of blown glass puppets and marionettes shortly after graduating from the Rhode Island School of Design in 1990. 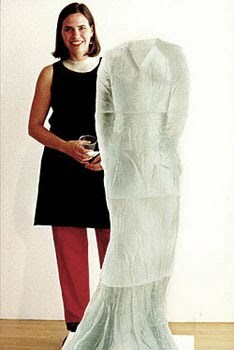 Also in 2001, her interest in transparency led her to create monotype prints she called Sartoriotypes (sartorial of or relating to tailored clothing, plus type meaning image and impression). 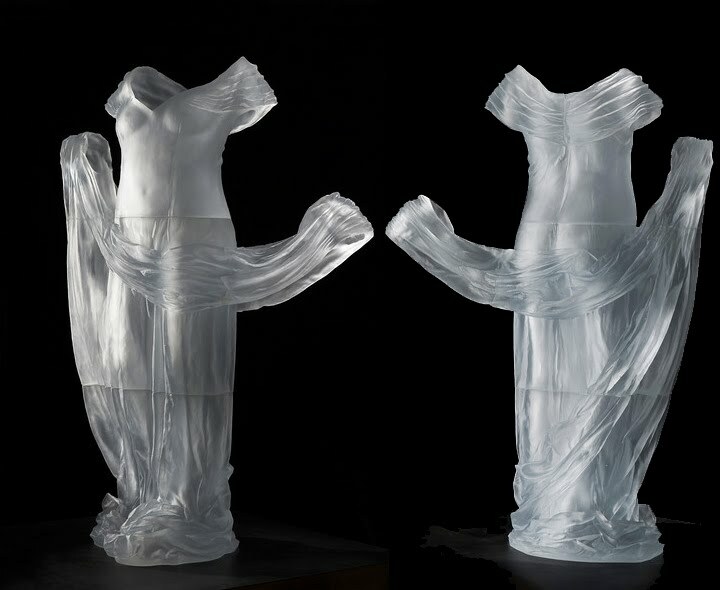 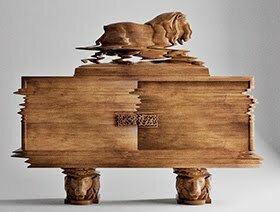 These works were installed with the cast glass sculptures in the 2002 exhibition at Bevilacqua La Masa Foundation in Venice, Italy. 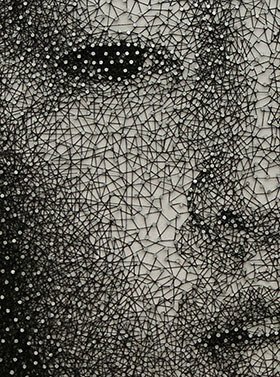 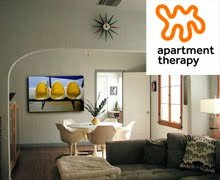 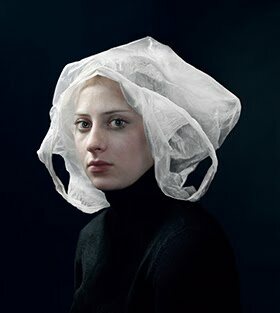 Recently, her work was exhibited at the Chrysler Museum of Art in Norfolk, VA and was acquired by the Smithsonian American Art Museum. 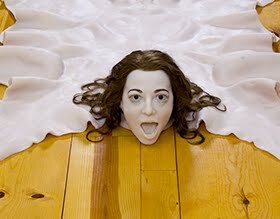 She continues to live and work in the Czech Republic. 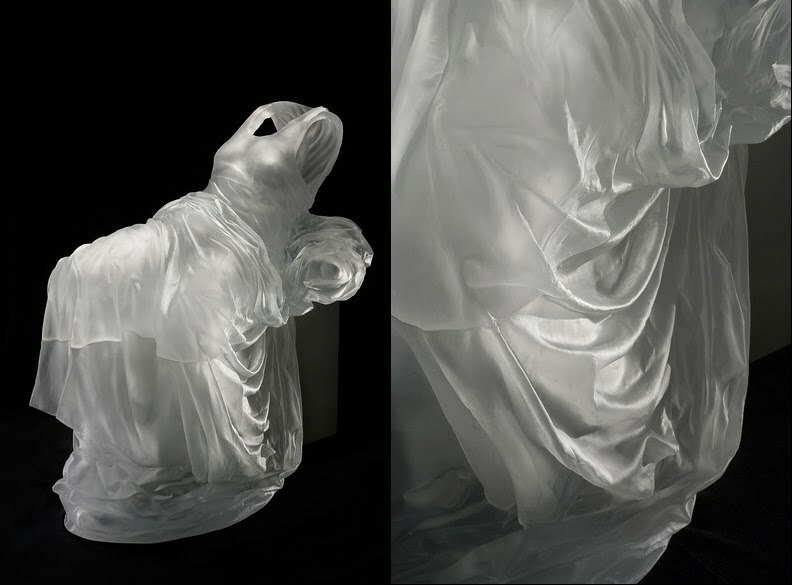 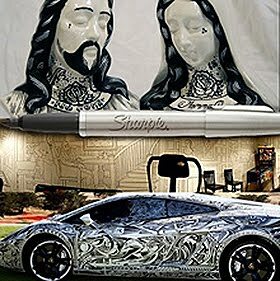 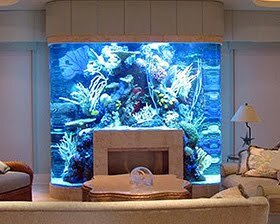 I am a glass artist, and Karen's work is mind-blowing. 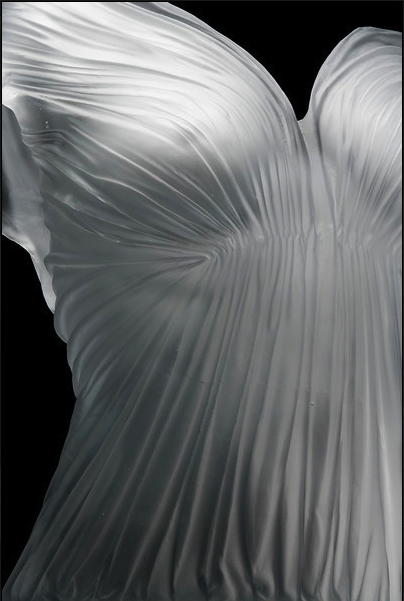 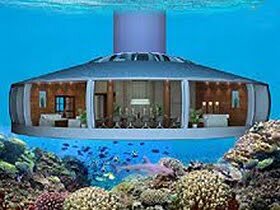 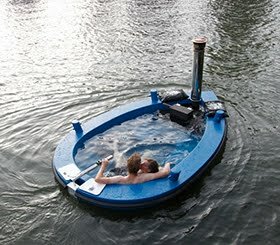 It makes me want to weep, it's so beautiful and technically difficult.